Michael Hayduk, chief of the computing and communications division at the Air Force Research Laboratory says quantum technology will be "disruptive" in areas like data security and GPS-denied navigation. The U.S. Air Force particularly is focused on on what is known as quantum information science. “We see this as a very disruptive technology,” said Michael Hayduk, chief of the computing and communications division at the Air Force Research Laboratory. Artificial intelligence algorithms, highly secure encryption for communications satellites and accurate navigation that does not require GPS signals are some of the most coveted capabilities that would be aided by quantum computing. Hayduk spoke last week during a meeting of the Defense Innovation Board, a panel of tech executives and scientists who advise the secretary of defense. The DIB met at the Pentagon’s Silicon Valley location, the Defense Innovation Unit Experimental. Quantum computers are the newest generation of supercomputers — powerful machines with a new approach to processing information. Quantum information science is the application of the laws of quantum mechanics to information science. Hayduk explained. Unlike traditional computers that are made of bits of zero or one, in quantum computers bits can have both values simultaneously, given them unprecedented processing power. “The Air Force is taking this very seriously, and we’ve invested for quite a while,” Hayduk said. 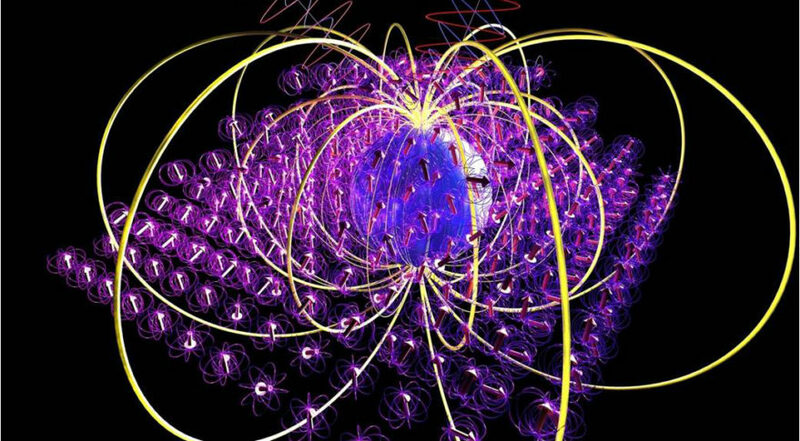 The Pentagon is especially intrigued by the potential of quantum computing to develop secure communications and inertial navigation in GPS denied and contested environments. “It’s a key area we’re very much interested in,” said Hayduk. Some of these technologies will take years to materialize, he said. “In timing and sensing, we see prototype capabilities in a five-year timeframe.” Communications systems and networks will take even longer. Meanwhile, the Pentagon continues to watch what other nations are doing. China is “very serious” about this, he said. It is projected to invest from $10 billion to $15 billion over the next five years on quantum computing. China already has developed quantum satellites that cannot be hacked. Other countries have been getting in the game too. The United Kingdom is planning a $400 million program for quantum-based sensing and timing. A similar project by the European Union is projected to be worth $1 billion over 10 years. Canada, Australia and Israel also have sizable programs. The Air Force Research Laboratory expects to play a “key role in developing software and algorithms to drive applications,” he added. Congress has proposed an $800 million funding line in the Pentagon’s budget over the next five years for quantum projects. Hayduk said money is important but DoD also needs human capital. “Quantum physicists are in high demand. We need to develop quantum engineers, people who can apply it.” Another concern is the lack of a domestic supply chain (most suppliers today are outside the U.S.) and testing labs focused on quantum science. How quantum technology could b applied to artificial intelligence is part of a broader debate on the military’s use of AI. Defense Innovation Board Chairman Eric Schmidt, the former executive chairman of Google’s parent company Alphabet, has been pushing the Pentagon to embrace the technology. This is despite mistrust in the tech industry about the military’s intentions for using AI, which prompted Google to end a partnership with the Air Force to develop machine learning algorithms. The Pentagon this month announced it will be setting up a Joint Artificial Intelligence Center led by DoD Chief Information Officer Dana Deasy. At the DIB meeting, Schmidt said the new AI center is the “beginning of a very, very large program that will affect everyone in a good way.” In light of the recent controversy about the ethics of using AI in military operations, the Pentagon has asked the board to help delop “AI principles” for defense. The technology is regarded as essential to help analyze data and provide leaders with accurate information in real time. Defense and intelligence officials for years have complained that commanders in the field are handicapped by a lack of timely data and reliable communications systems.